As you know, James Arthur Ray was released from prison last Friday. In honor of this inauspicious occasion, I'm unveiling The James Arthur Ray Sweat Lodge Trial page. I've been slowly organizing all the material from the Sweat Lodge Trial into a more easily navigable index, with a table of contents and a glossary of terms. I started this project a little while after James Arthur Ray went to jail. It proved more challenging than I'd expected. It's not the busy work of it. I find that it forces me to relive the trial which, as it turns out, was even more emotionally grueling than I'd remembered. But think of it as a work in progress as I keep chipping away at it. I'm really glad you are doing this, LaVaughan. I've just updated my links page on my blog to include it. Death follows the counterfeit wannabe "medicine men" or woman who was not given this way as their own. They have no idea what they are doing nor do they respect these ways when they make money from these ceremonies. This is a lesson for those who want to mess around with Indian ways and ceremonies. 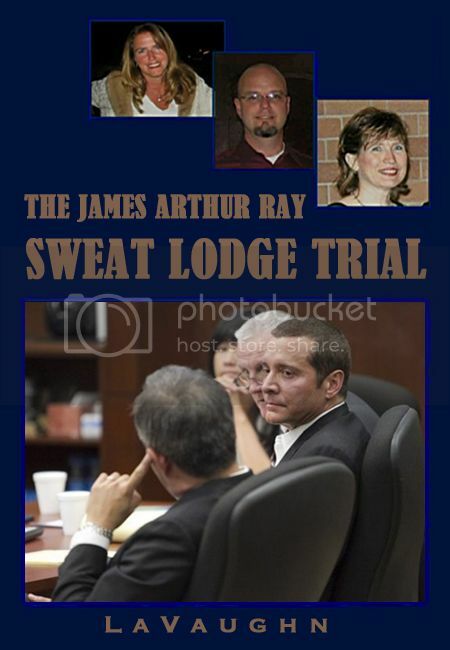 This person James Ray will have bad medicine and the spirits of those he killed to enrich himself will follow him the rest of his life.